The historic Astoria Regatta celebrates the community’s connection to the water with more than 50 land and sea events. The Astoria Regatta features five days of fun on land and sea August 6-10. 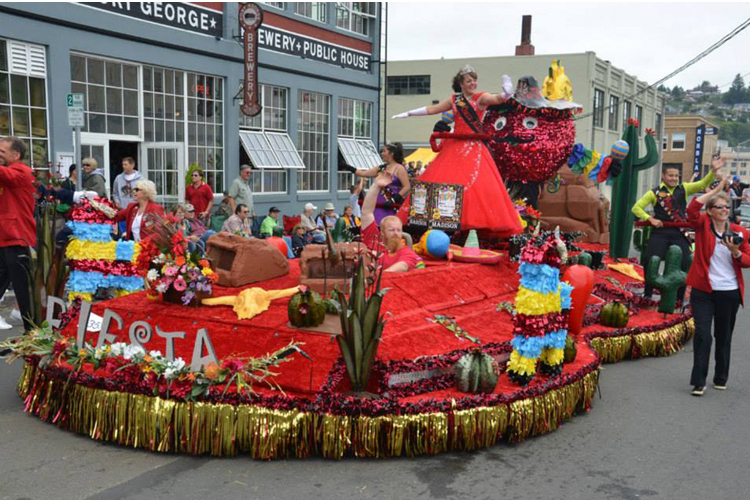 Designated a Historic Cultural Tradition by the Oregon State Historic Commission, Astoria Regatta Festival celebrates the community’s fishing and sailing heritage with more than 50 events and most of them are free. The Astoria Regatta traces its beginnings back to 1894 as a way for the community to celebrate the homecoming of local fishermen returning from Alaska aboard boats filled with salted fish. Rapidly, the annual community celebration blossomed into one of the premier boat events and contests on the coast. The festivities take place over five days in early August every year. Early pictures of the Regatta depict land and sea parades, boat races, fishing contests and many elaborate festivities on the Columbia riverfront. To read the entire story on CoastExplorerMagazine.com, click here.